June’s gathering was hosted by Bridgette Buckley and featured the work of Rebecca Schoenecker. Rebecca is an artist, teacher and musician. 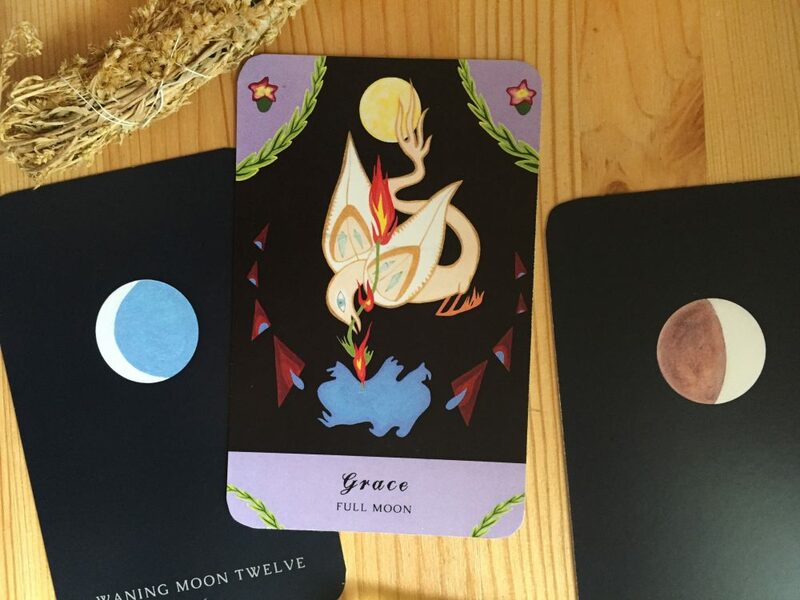 She received her MFA from the School of the Art Institute in 2008 and spent the years following working at colleges, touring with her band, reading tarot, and creating art. In 2011, she self-published her first tarot deck, the Laughing Eye Weeping Eye Tarot. It was more successful than she anticipated, as were her tarot readings, which some expressed were life-altering. This encouraged her to continue and in 2013 she left her job so she could pursue these passions full-time. Fueled by a captivation of all things metaphysical, she explores the esoteric through meditation, channeling, spirit work, various healing modalities, art, music and tarot card readings. Rebecca describes her practice of divination as seeking answers where there are none. Rebecca started the evening by introducing herself and her background, then gave the LWD members a group reading based on a question determined that night: as creative professionals, how do we deal with burnout? The reading went on to discuss ways to take care when managing internal and external forces. Private individual readings were given to members who chose them.